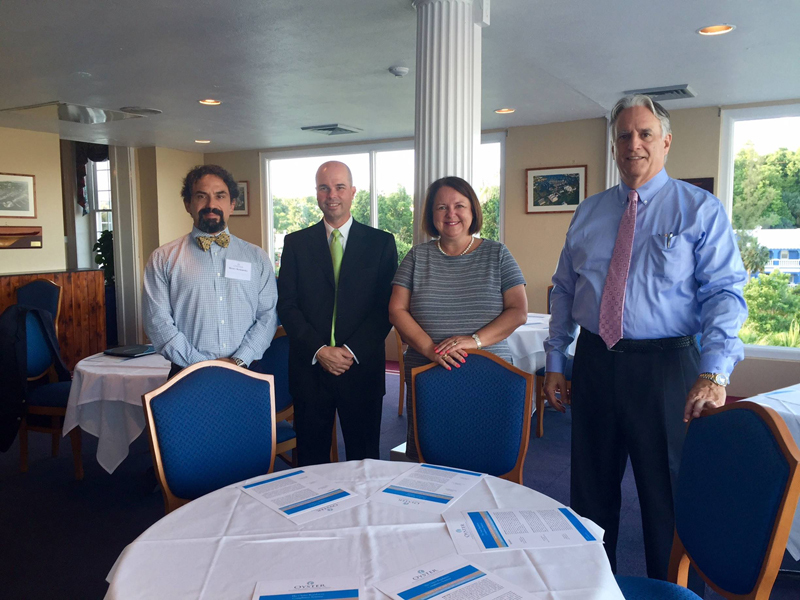 Oyster Consulting [Bermuda] Ltd hosted its inaugural Regulatory Compliance Seminar on July 26, with panelists discussing changes to Bermuda’s anti-money laundering/anti-terrorist financing requirements, cybersecurity, and conducting investment advisory business in the United States. Oyster Consulting [Bermuda] Consultant Henry Komansky said, “Over the past year, Bermuda has been updating its legislation to address gaps in the AML/ATF framework and bring Bermuda in line with 2012 FATF 40 recommendations, interpretive notes and updates. “It appears that legislative change will continue as the island prepares for its 2018 AML/ATF country evaluation. A spokesperson said, “Cybersecurity continues to be a hot topic around the globe as regulations evolve and firms move to protect themselves in case of a cybersecurity event. Oyster Consulting LLC Founder and CEO Buddy Doyle said, “Oyster Consulting is in the business of helping organisations start, run, grow and protect their firm. The rapidly evolving markets, regulatory changes, and enforcement actions, combined with emerging threats from criminals is creating an unpresented amount of change. “Oyster Consulting LLC Managing Director Hank Sanchez discussed the U.S. Regulatory environment, the Securities and Exchange Commission [SEC] Focus for 2016, and what firms can look for in 2017 and beyond. Oyster assists firms by either taking on the role of Chief Compliance Officer, or by assisting the firm’s Chief Compliance Officer with the compliance program. Sean Moran, Business Development Manager of Bermuda Business Development Agency, said, “I found the seminar very informative and timely. With so many changes happening so rapidly in the world of regulation and compliance, it was valuable to hear updates on the current issues facing fund industry professionals, including AML/KYC, cyber-security, and the SEC’s new Investment Advisor rules. Alison Morrison, Managing Director of Oyster Consulting [Bermuda] Ltd, said, “I was delighted with the overwhelming interest in attending our first Seminar. I think all three topics were relevant and in light of local regulatory changes, very timely for those in attendance. “Starting next month, Henry Komansky will be hosting a series of Lunch and Learn sessions. For more information on these or other compliance topics, please contact Henry Komansky at henry.komansky@oyster.bm or visit the website.